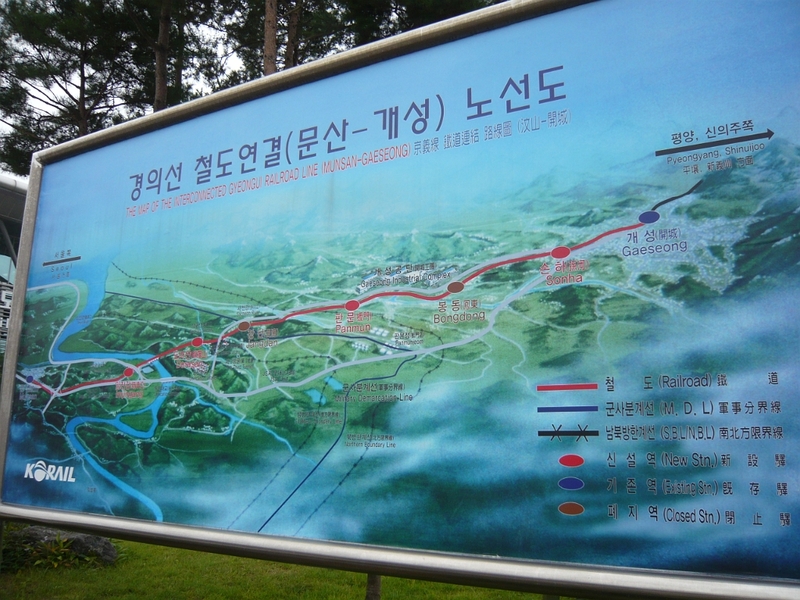 The next day, we went to the DMZ (demilitarized zone) for a tour. The first stop was a railway station, Dorasan, which would be the gateway to the North if they let trains go through. Freight trains were passing there for a while, including while I was there, but I guess Kim Jong-Il decided he didn't like it so much after a while.